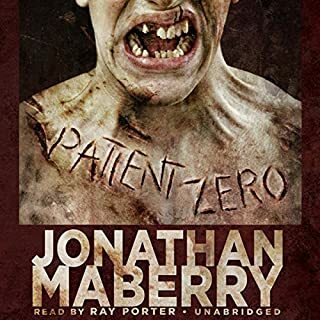 Has Patient Zero turned you off from other books in this genre? No, I do enjoy the genre, just not this author, reader, or this story. This book gets a 1 star because I can't give it less than that. Disappointment mostly, and some anger. If the author had done more than EXTREMELY light research, it might have been alright. There is a difference between being a smart mouth, and being ignorantly obnoxious, this character doesn't just cross that line, he sprints across it and doesn't even bother to care. having spent a number of years in the Military, and being the smart mouthed NCO, I can say this character would not have made it. If he wasn't kicked out for his attitude, he would not have been liked, or respected, by either his troops or his superiors. a better author who actual understood the military. I like the basis idea, magic being used as a weapon and controlled by the military, a shadow group using magic that is considered illegal in this world... the ideas were good, but the execution was terrible. It was obvious from the first chapter that this author had no clue about the military structure, or how/why it functions. At first I was willing to overlook some of that due to the basic story idea, but listening to the main character constantly whine about everything really wore on me. I kept hoping that it would get better, the main character would put on his big boy pants and stop whining. I eventually stopped listening with 2 hours 14 minutes left. Just where you can tell the big battle is about to start, I couldn't take the self pity and whining any longer. 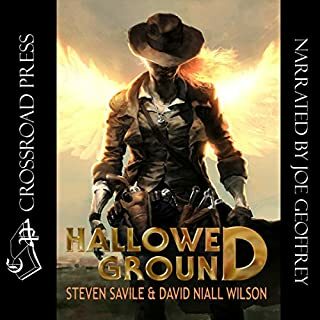 Would you try another book from David Niall Wilson and Steven Savile and/or Joe Geoffrey? Since this book seemed to be the first of a series, I would give another a shot. This one wasn't bad at all, had some really good parts, but really seemed to be the start of something, not a complete book in it's own right. either made the book longer to develope the characters further, added some more meat to the plot (wasn't really lacking, but more would have been better), or have a second book to keep the story going. While interesting, and pretty a pretty good concept, the story seemed to be lacking something, either some more material, longer story... something to make this seem more than a short story that got away from the authors. Still, I am not sad that I listened, it was pretty good, but not as good as it could have been in my opinion. 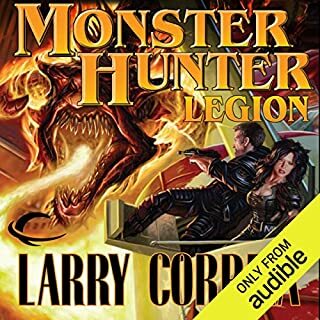 What was one of the most memorable moments of Monster Hunter Legion? Yes, yes I have. 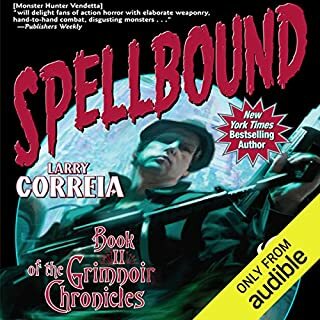 he seems to have changed Earl's voice a little bit between this book and the previous ones, but this one is still really good. yes and no, yes because the story was that good and the way the Mr. Wyman reads; is awesome. No in the fact that I wanted it last much longer than it did, there just seemed like the alp could have done so much more to frustrate and frighten the characters, that it did seem a little short to me. 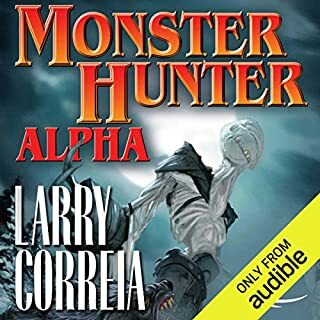 Where does Monster Hunter Alpha rank among all the audiobooks you’ve listened to so far? Hard to say, this one is really good, but comparing this to The Wheel of Time just isn't fair to either series. That said, I love this series. What was one of the most memorable moments of Monster Hunter Alpha? The second Alpha werewolf and Heather becoming a werewolf. The battles between Harbingener and Petrov were great. It's just a really fun read (listen) that doesn't stop at the end of the book. 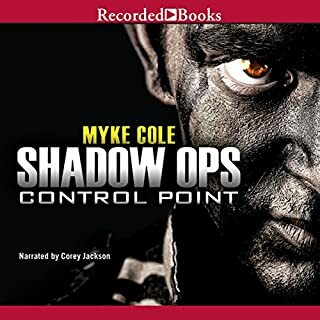 Being a retired Infantry soldier, I like guns and this series doesn't dissipoint with descriptions of guns and the use of guns in all their forms. Would you try another book from Peter Clines and/or Jay Snyder and Khristine Hvam ? Would you recommend Ex-Heroes to your friends? Why or why not? Depends on who I would be recommending this to. I have some friends that love zombie apocalypse, and they would really like this one, but I wouldn't recommend it to anyone else. Just too many plot holes in my opinion. 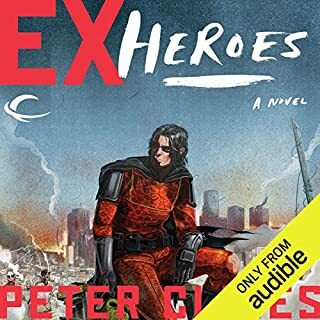 Do you think Ex-Heroes needs a follow-up book? Why or why not? Hard to say, I know there is one, and I am still very undecided about it. kinda dissipointing when you get to the finish, but there are still questions that could be answered in another book. unless you are a fan of zombies, and superheroes, might want to think twice about this one. If you like reading about zombies, and superheroes, then by all means this book is pretty good; when you get past the confusion of jumping around in time to tell the story. Might have been better if one time arc was stuck to, instead of telling the characters backstories in fits and starts interspersed with action in the 'present' against zombies. Magic in the Great Depression??? 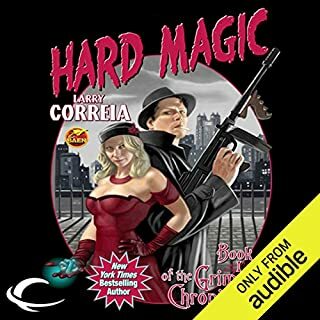 What made the experience of listening to Hard Magic the most enjoyable? What was one of the most memorable moments of Hard Magic? This book is more than worth the time to read, the performance is great and the story is top notch. I have recommended this book to others. the book is really well written and the story is really well thought out. Great book, great series, great author. 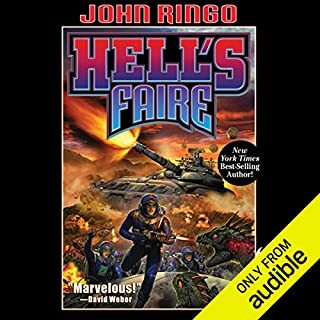 If you could sum up Hell's Faire in three words, what would they be? Interesting... I will give it that. 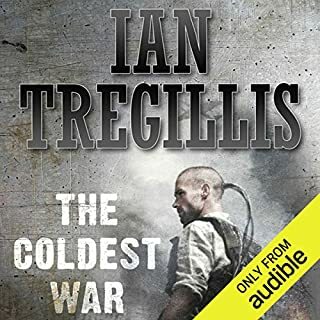 What did you love best about The Coldest War? This picked up well from the last book, the connection was well thought out, but the story seemed to be lacking some of the energy from the first book. All in all, this was a good book, a little bit of a let down compared to the first book in my opinion though. the whole story was pretty good, the characters were familar and well played with their estabilished personality quirks. The story did take a few very interesting turns, but not all of them seemed to go in the right direction. I really liked the book, and will certainly look for the next in the series, hopefully the energy is back.